It’s been a really hectic period for me these past few months. In between aere’s FEEL eid fashion show at Gaya Koleksi Raya and several aere releases and preparing for aere’s upcoming projects and next week’s big releases *hint* *hint*, I’ve been having sleepless nights for work and really haven’t had any time for myself much less spend quality time with my husband. In fact, most of the time, we have just been eating out and haven’t been cooking at home because both of our hectic schedules. Since last year, I’ve been trying to cook at home more often, but the past few months, because of travelling and work I really haven’t had the time to. Last weekend before the fast began, I was determined to cook something up for two of us. 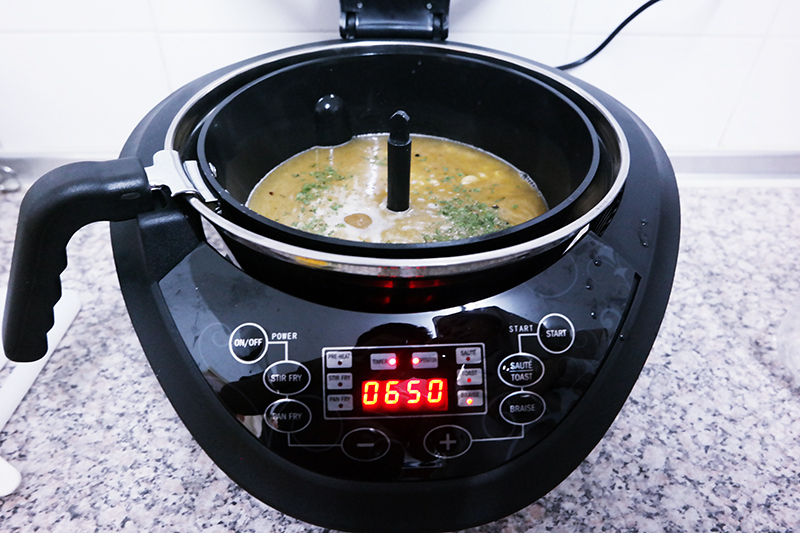 My husband had been quite busy working throughout the weekend and I wanted to treat him to something that he liked, and at the same time I wanted to try out the Signature Automatic Stir Fryer that I received from KHIND. I liked the shape, compact and didn’t take up much space. 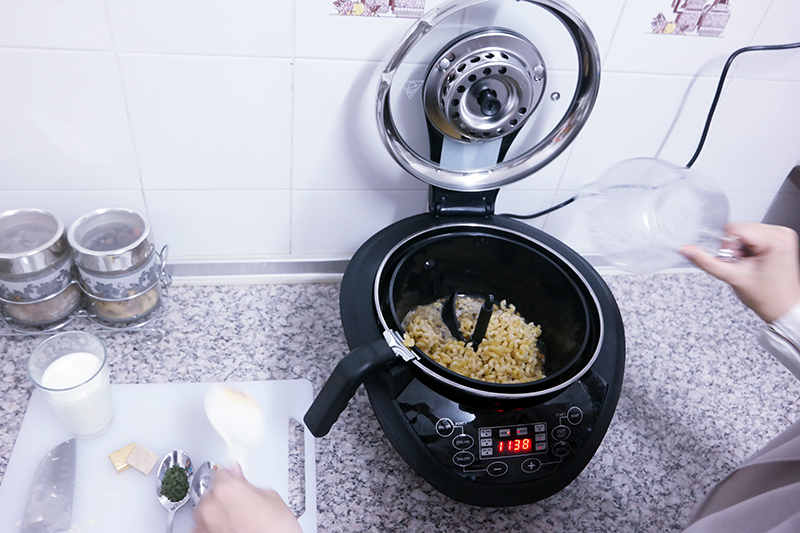 It was not just an automatic stir fryer, it could do other things too – like pan fry, sauté, toast and also braise. 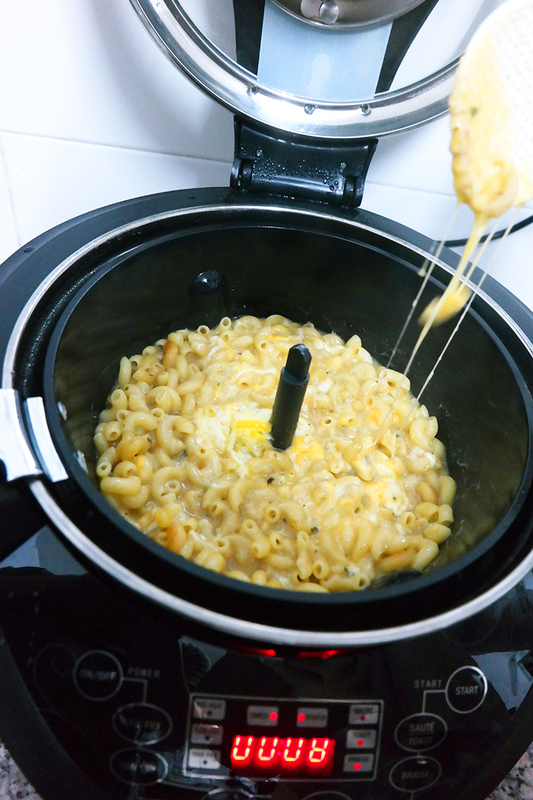 So I decided to cook a simple dish that I knew my husband loved – macaroni and cheese! We cooked it before a few times using a quick and simple recipe he found on the internet. I’ve had people asking me how to cook this on IG so I thought I’d share it with you. Step 1 - The Automatic Stir Fryer promise to be very user friendly (even teens can use it) and I found that to be very true. First, I just set the BRAISE function and switched the automatic stir fryer on. I put in the butter, and stir fry the garlic until you smell the fragrance. Step 2 - Then pour in the macaroni and 2 cups of water. Add the chicken stock as well and the coriander leaves. Always remember to read the manual. 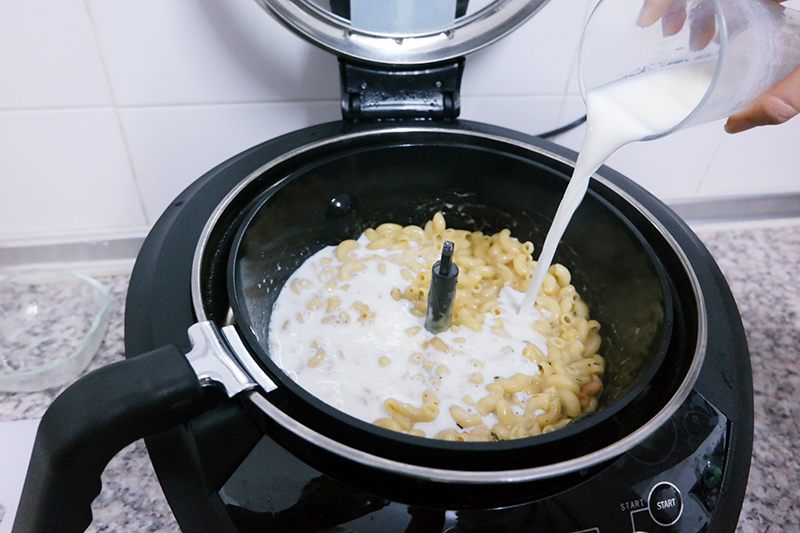 I was quite a noob because I kept the Automatic Stir Fryer lid open and stirred the macaroni and water myself. I totally forgot it was automatic! Duh! Turns out when you close the lid, it will automatically stir for you. Will keep that in mind next time. 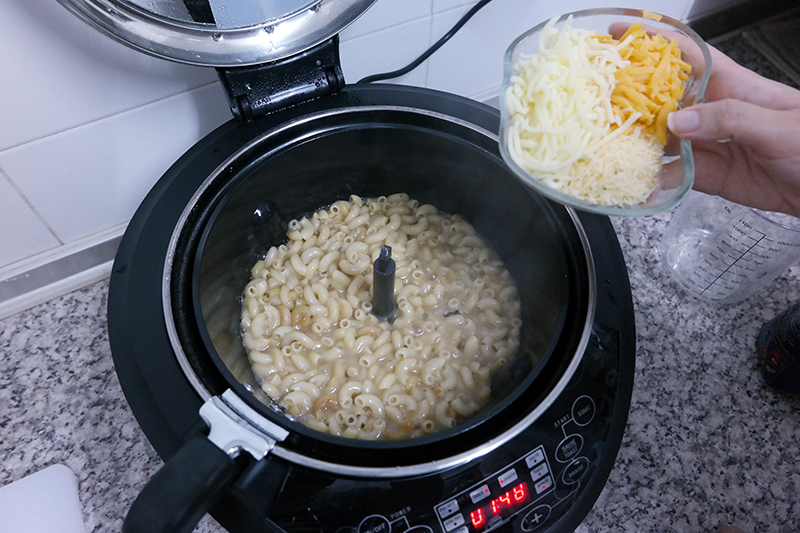 Step 3 – When the timer shows 2 minutes left, add in all the cheese (as much as you like!). 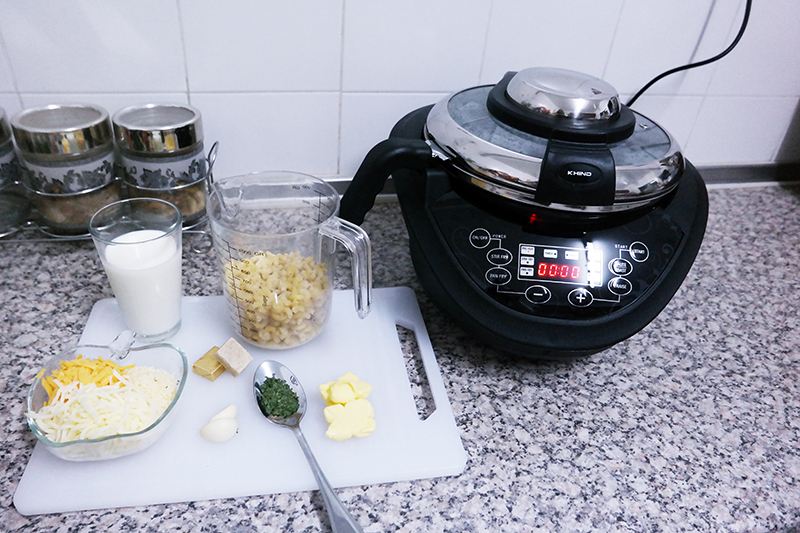 Step 4 – After the timer is up, add in the milk and leave it for another 5 minutes. Actually, when doing this I accidentally put in 3 cups of water in Step 2 instead of 2 cups because I forgot that the milk is also going to be put in as well later. Also, since I didn’t close the lid earlier (because I was too busy stirring an AUTOMATIC stir fryer myself), the macaroni did not absorb all of the water by the time the 15 minutes was up. So I had to add in more macaroni and cook it for a bit more to achieve the desired result. But follow the original steps and you will be fine. 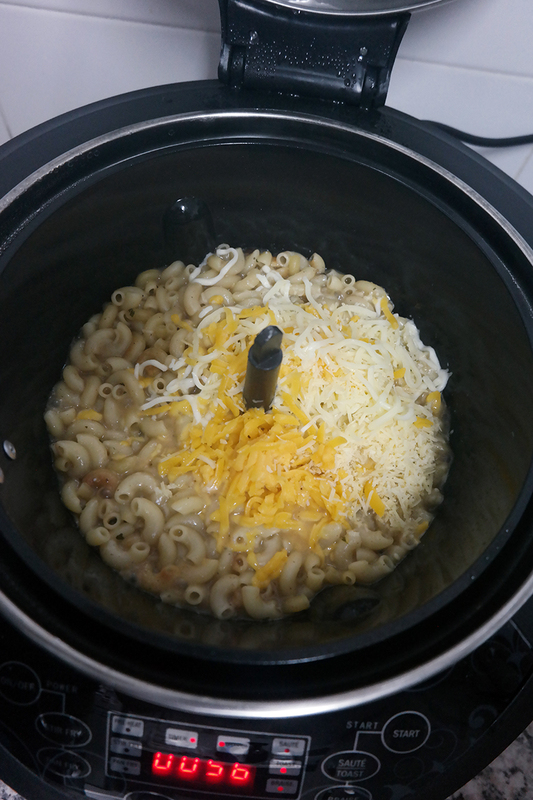 Or, improvise and add your own items – you can add chicken or hotdog slices if you don’t want to just eat plain (but really yummy) mac n cheese. 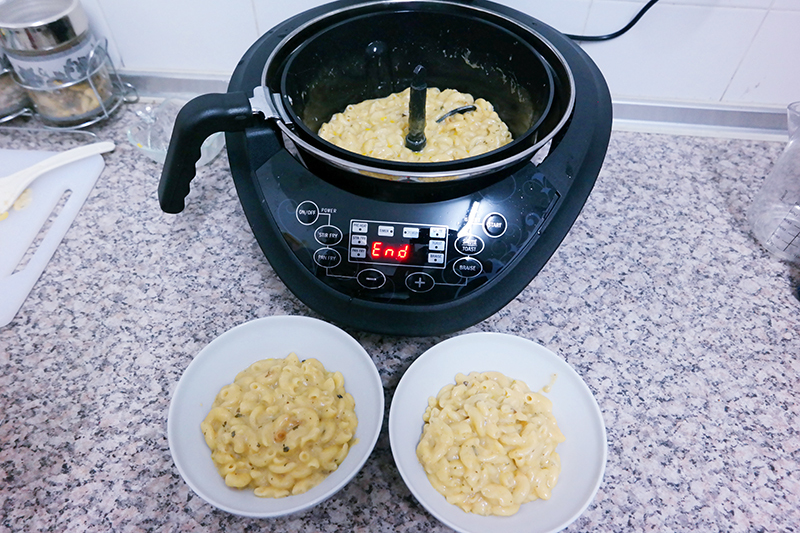 End – Two very flavorful plates of yummy mac n cheese! The fried garlic and the chicken stock adds to the taste of the mac n cheese so that the pasta does not taste bland and the three different type of cheeses add a really powerful cheesy flavour. My hubby took a break from his work and finished the entire servings. You can prepare this for breaking fast and still keep it for sahur later. The Automatic Stir Fryer was really efficient and useful. It’s also very easy to clean. 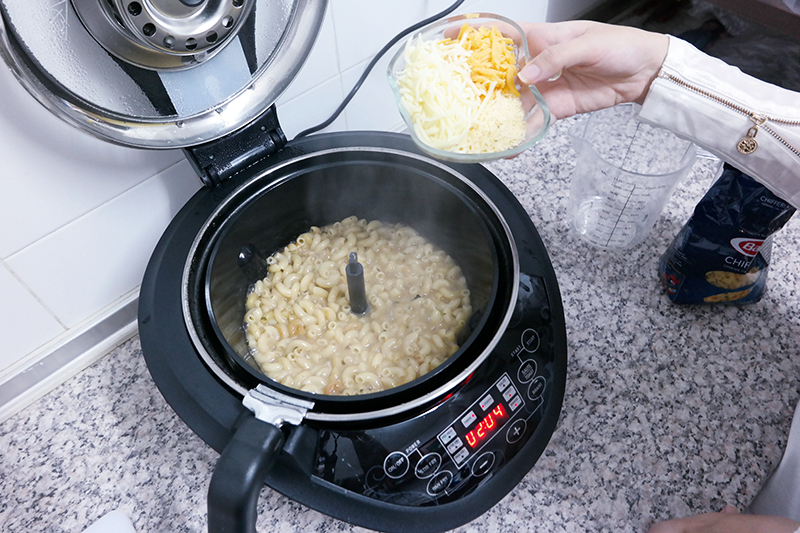 With the automatic stirring, I don’t even need to stand over the pot and stir to make sure the pasta was properly cooked and to mix the cheeses. The Automatic Stir Fryer will do it for me. Apparently, you will use less oil by using this. So, I can’t wait to try the stir fry functions and goreng (fry) some chicken! At least, when I have the time to. I’ll share it here when I do. 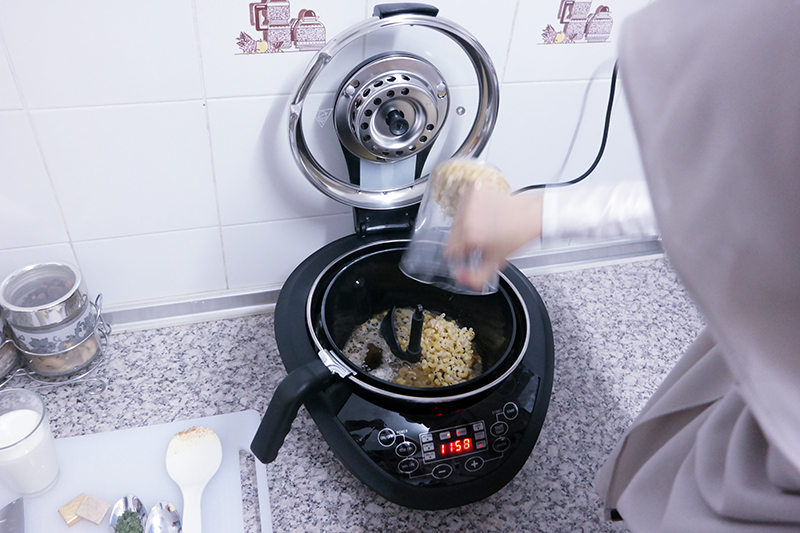 I really think I will be using this handy appliance during Ramadhan. Let me know if you’re trying this and if you have any other tips or recipes to improve on the mac n cheese. If this product interests you, wait no more and head over to http://www.khindonline.com/ and get a unit for yourself. Key in [SSB15] to receive a special discount which Is valid until 31st July 2016! For more information, log on to Khind’s official website (Hyperlink to http://www.khind.com.my/) and their Facebook page (hyperlink to https://www.facebook.com/khind.my/) to check out! so...this is the khind starter pack.